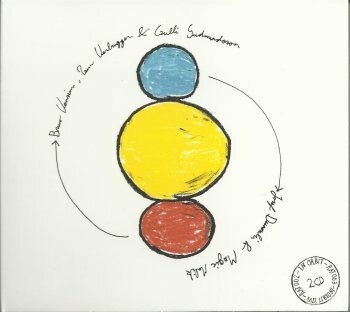 The Bruno Vansina (sax), Teun Verbruggen (drums) and Gillis Gudmundsson (bass) Trio released "In Orbit" in 2005. This 2CD set was the second release on the Rat Records label. It presents studio recordings from Amsterdam on disc one and a live registration from Brussels on disc two. Icing on the cake are special guests Magic Malik (on flute and vocals) and Jozef Dumoulin (on piano) who took part in the Brussels concert. "The second CD is live, with pianist Jozef Dumoulin and flutist Magic Malik sitting in. Neither knew the music and hearing them learn it in real time is fascinating, as they don't hesitate to push the trio around a bit." It's music, Jim, but not as we know it... Fascinating. 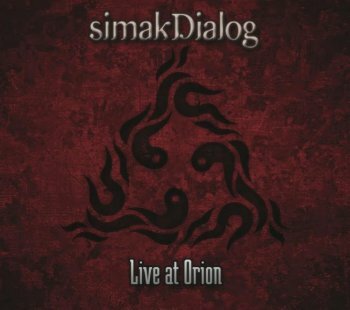 Recorded live at the 'Orion' in Baltimore, MD, on September 7, 2013, this 2CD set shows the incredible talent of SimakDialog. Riza Arshad on Fender Rhodes (and compositions) and Tohpati on guitar are the perfect team. 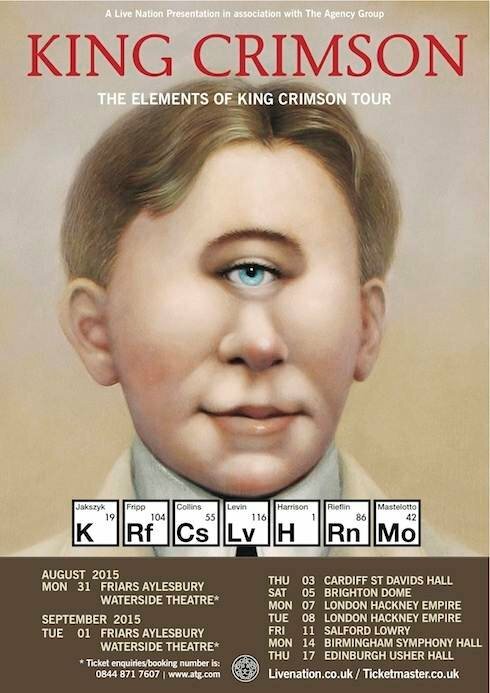 Fans of contemporary progressive rock shouldn't hesitate. This is great. Composer and (Fender) Rhodes scholar, Riza Arshad, possesses one of the most capable sets of hands ever to grace a Fender Rhodes. His manipulation of this classic keyboard, whose warm and slightly rounded metallic voice has helped define modern jazz, brings out the very best it has to offer as he charts out new territories of sound. Arshad’s wonderfully sophisticated compositions form the perfect armature for the musicians to flesh out the sound in a very organic way that compels the listener to deeply take it all in. Tohpati’s guitar work is the perfect dance partner to Arshad’s keys, as he alternately leads or follows, depending on the needs of each composition. His subtle atmospherics bring to mind David Torn, Terje Rypdal and Nels Cline, while his leadwork can possess both the fluidity of Holdsworth and the aggressiveness of Jeff Beck. Though there is no shortage of acrobatic axe-wielding on “Live at Orion”, Tohpati’s democratic interplay with Riza’s gorgeous Rhodes is the real star here – creating a powerful synergy that gives voice to the whole of the music over its parts. 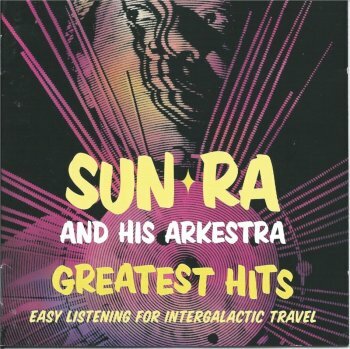 Adding data to the Sun Ra discography, it was time for the "Greatest Hits, Easy Listening For Intergalactic Travel" album. Released on CD by the Evidence label in 2000. Allan Holdsworth announced a new album, "Tales From The Vault". Today's discovery, the Shaolin Afronauts. Another dodgy release by the Keyhole record label. From the 1975 "Bongo Fury" tour, featuring FZ, Captain Beefheart, Denny Walley, Tom Fowler, Napoleon Murphy Brock, George Duke, Bruce Fowler and Terry Bozzio. Nothing new as the recording can be found on the Zappateers website. 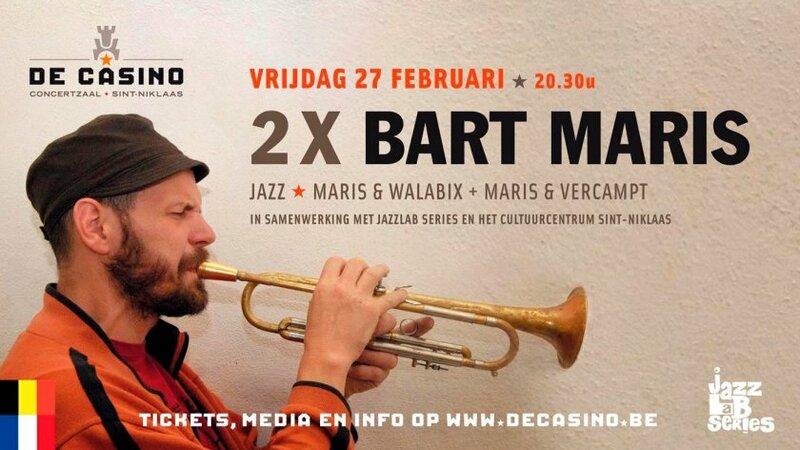 Next Friday, Bart Maris will be performing two concerts at De Casino in Sint Niklaas (B). Yagull is Sasha Markovic's project. 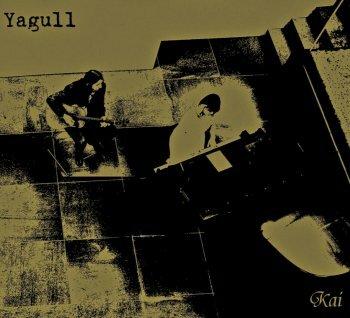 Three years ago, the first Yagull album got released on ZoZe Records. It got distributed by the Moonjune label. The album was called "Films" and it presented contemporary chamber music. Yagull's second album got released a couple of weeks ago. It's entitled "Kai" and it's a fine successor to "Films". 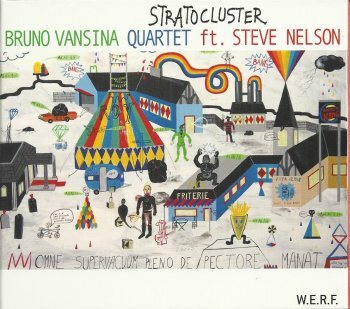 For those of you who want to check out the music of Bruno Vansina, "Stratocluster" is the perfect place to start. Recorded in Brooklyn, New York, in 2012, with special guest Steve Nelson. Released on the Werf record label, co-produced by Rat Records. Bruno Vansina will be presenting "Het Serpent", a shadowplay / phantasmagoria that combines images, dance and live music. Dimitri Verhulst, Teun Verbruggen and Nicolas Rombouts. One of these certainties is that the Moonjune Record label keeps releasing beautiful music by fascinating artists. A couple of weeks ago, Moonjune released Tesla Manaf's international debut album. 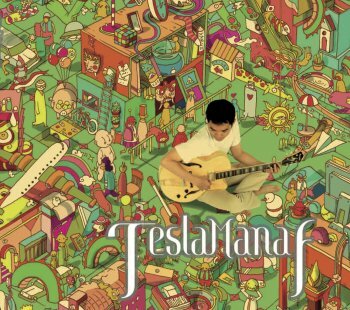 As the brilliant album cover shows you, Tesla Manaf is a guitar player. After a first listening session, I'm delighted to tell you that Tesla Manaf is indeed a fine guitar player and an excellent composer as well. This eponymous debut on Moonjune presents two albums that Tesla Manaf previously released in Indonesia: "A Man's Relationship With His Fragile Area" and "It's All Yours". 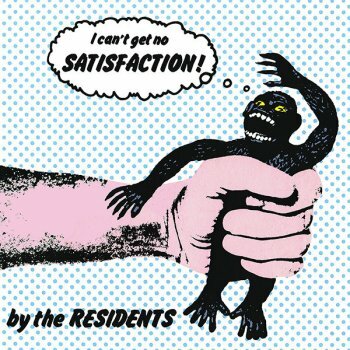 THE RESIDENTS - I CAN'T GET NO SATISFACTION ! The Superior Viaduct record label is re-releasing what they call 'classic punk singles' from the seventies and eighties. One of these will be 'Satisfaction' by The Residents. The re-release will be a limited edition, on purple vinyl. March 2007, the Bruno Vansina - Teun Verbruggen - Gulli Gudmundsson Trio with special guests Magic Malik and Jozef Dumoulin, played an intriguing concert at Het Zuiderpershuis in Antwerp, Belgium. 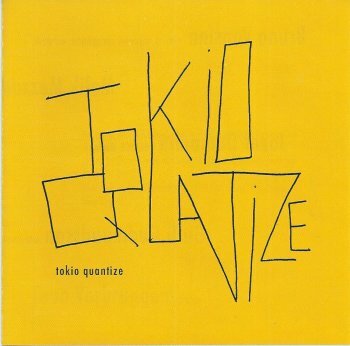 The recording got remixed and remastered and was released in 2008 on the Rat Records label. 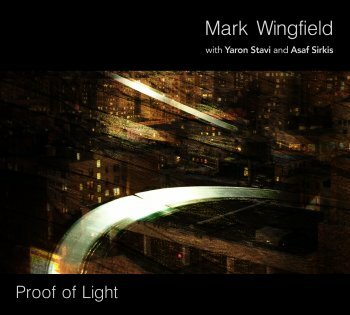 Moonjune Records recently released Mark Wingfield's latest album, "Proof Of Light". Despite the fact that this is Mark Wingfield's sixth solo album, I have to admit that, until recently, I wasn't familiar with his music. It only made listening to "Proof Of Light" a bigger surprise. Beautiful melodies and an incredible guitar tone. In the liner notes, Mark Wingfield explains that he approaches the guitar like a horn player or like a singer. He adds: "When I play melodies, each note is articulated in such a way that it potentially sounds different - the pitch is fluid, the tone varies, and the attack, sustain and vibrato are all used to express nances the melody suggests to me." Fellow companions on this musical journey are Yaron Stavi on upright bass and Asaf Sirkis on drums. The both of them stay very close to the melody lines, making the result sound very intense. Live FM broadcast from The Palladium NYC 31/10/1977. To be released on CD on April 13th. HENRY KAISER'S "HERE'S TO YOU ZOOGZ!" Here's a message from my pal Danny about Henry Kaiser's "Here's To You Zoogz! 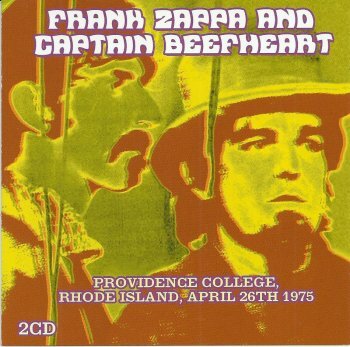 ", a tribute that Henry Kaiser released in 1999 on CDR in a limited edition of 100 copies. My Henry Kaiser's CDR "Here's to you Zoogz !" has gone defective. In fact Henry's, Scott Colby's and John Oswald's copy too. Anyone with a working copy willing to share ? Anyone's got a copy that's still working? Or a back-up version? 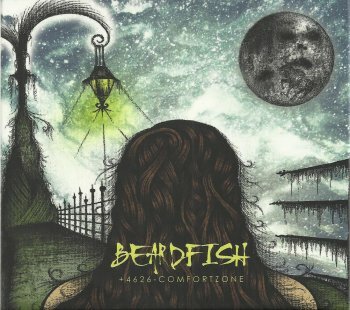 Beardfish is / will be touring as support band for the NEAL MORSE BAND. Spirit of 66 - Verviers (B) , March 8, at 18:30u ! Bill Hubauer : Keyboards + vocals. PaulB's video of Mamas Gun, the 'five-piece London based electric groove band'. Their latest album, "+4626 - Comfortzone", exists in two versions: the 2CD 'deluxe' set that comes with a bonus disc of early years demos, and a regular 1CD album. For those who need to know these kind of things (like myself), +4626 is the telephone area code for Gävle, Sweden, home-town of Beardfish. Excellent new record by Mats Öberg. Before recording the second album in the Improvisational series, Mats Öberg’s headstrong interpretations of the songs of Cornelis Vreejswijk, Mats had a difficult decision to make. He had to choose between making an album with improvisations over his uncle’s music (Berndt Egerbladh, a very well-known jazz musician in Sweden) or with the music of Cornelis Vreejswijk. In the end the decision was too hard to make so Dragan Buvac, the producer of the series, recorded two albums. Caprice decided to wait for the best possible occasion to release the Egerbladh improvisations, which proved to be during the 2014 Umeå Jazz festival with Berndt Egerbladh’s music in focus. The conditions are the same as for the earlier releases in the series. A sumptuous concert hall containing a large Steinway grand piano, a pianist and a sound technician/producer – in the dead of night, the witching hours. Thus the mood is set for Improvisational, Caprice’s CD series of improvisations by some of our most talented musicians. Once again, Mats demonstrates what an excellent pianist and improviser he is, having already made a name for himself as a cross-genre keyboardist who has accompanied such varied artists as Ale Möller, Frank Zappa, Morgan Ågren (Mats/Morgan Band), Lena Willemark, Ann-Kristin Hedmark and Jonas Knutsson. He also plays in his own trio with Filip Augustsson (bass) and Sebastian Voegler (drums). 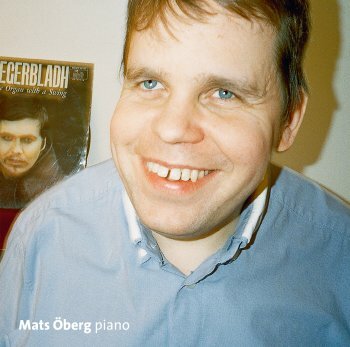 With a sense of playfulness, mood and tenderness, Mats improvises over Berndt Egerbladh’s best-known songs, including You Never Come Closer, A Song for Amy, Worksong and Sarek. In one word: irresistible. 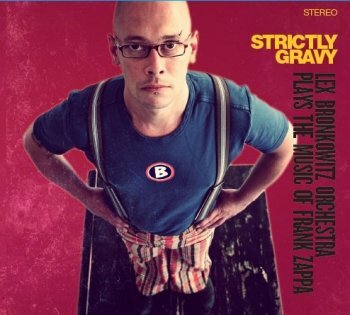 The Lex Bronkowitz Orchestra will be performing the music of Frank Zappa in Köln / Cologne on the 5th of June. Be sure to reschedule your agenda as this is the place where you need to be. Gov't Mule, considered by some as the ultimate jam band, has just released a new album, "Sco-Mule". 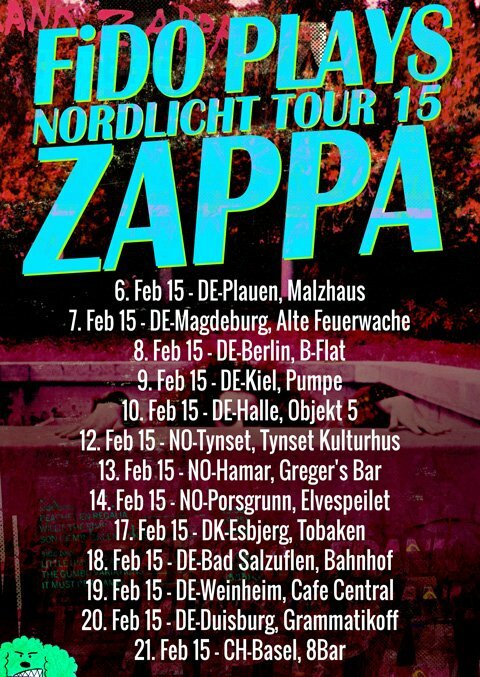 The band is also starting a new tour on Feb 18, and will come to Europe in May. Unfortunately without John Scofield, but that's no reason not the go to their concerts. I already have my tickets printed out. Joe Deninzon's Stratospheerius has released another download-only track through CDBaby. This Thursday, February 5th, SINISTER SISTER will perform instrumental music of the great FRANK ZAPPA!